Neurological development during the gestational period is critical in terms of infant health and long-term health throughout life. Researchers recently published a study that could hold the key to early diagnosis of autism spectrum disorders (ASD), giving parents and clinicians time to plan treatment and provide the best care imaginable for children with autism. 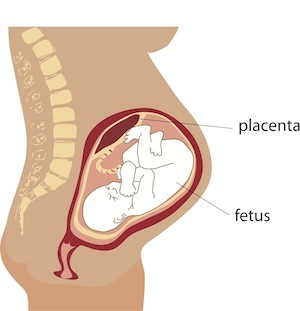 The key is in the placenta. Researchers were able to collect 117 placentas from patients with at least one previous child born with autism. The trophoblast inclusions were measured in the placentas and compared to results from 100 control placentas. Participant placentas were eight times more likely to test positive for two or more trophoblast inclusions than control placentas. When more than four trophoblast inclusions were measured in participant placentas, researchers estimated the overall risk of the newborn having autism at 74%. Placentas of mothers who previously gave birth to children with autism are markedly different from placentas of mothers with unaffected offspring. Researchers believe testing the placenta for trophoblast inclusions may help determine risk of developing autism and thus alter how patients are cared for in a pediatric setting. Diagnosing autism early is critical for the optimization of development outcomes in patients with the condition. Researchers did not suggest the patients would be followed to determine the number of clinical diagnoses associated with the participant group. Further study may be needed to determine how many infants born to mothers testing positive for trophoblast inclusions actually develop autism. Source: Cheryl K. Walker, Kaitlin W. Anderson, Kristin M. Milano, Saier Ye, Daniel J. Tancredi, Isaac N. Pessah, Irva Hertz-Picciotto, Harvey J. Kliman. Trophoblast Inclusions Are Significantly Increased in the Placentas of Children in Families at Risk for Autism. Biological Psychiatry. 26 April, 2013. doi:10.1016/j.biopsych.2013.03.006.